Styled with day blouse . 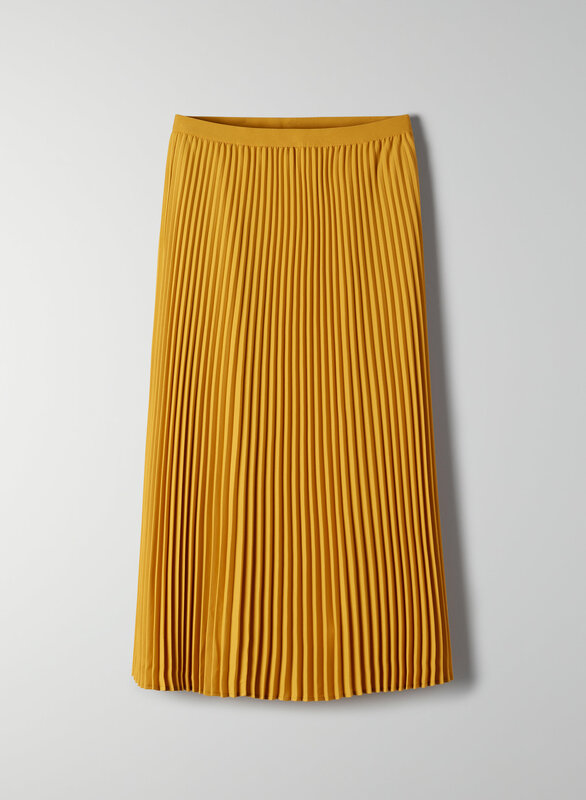 We're meticulous about pleats. 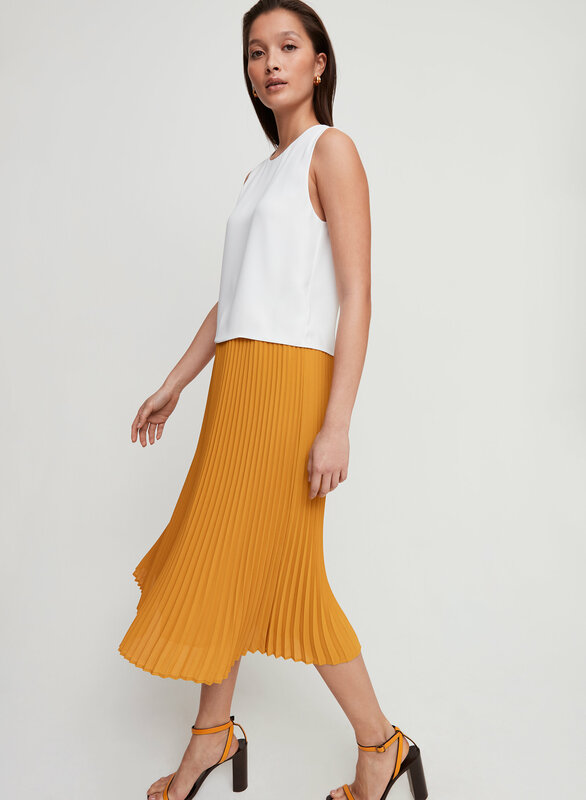 The Jude skirt has plissé pleats that are soft, never rigid. It's cut from refined, fluid fabric. 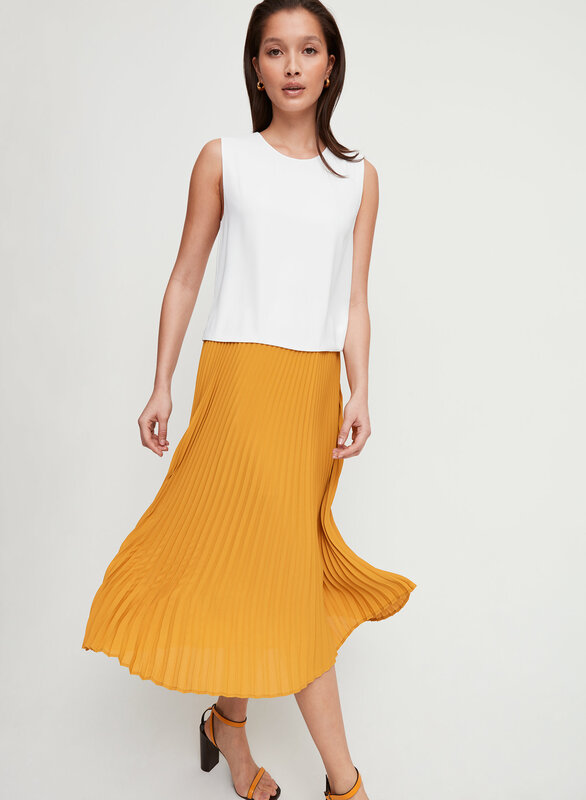 Feel free to throw this in the wash — the permanent pleats will keep their shape. I have this skirt in black and just bought it in the blush for spring. Such a great piece for your closet. This is a stunning skirt! The colour is amazing and it fits like a dream. I've washed it once and following the instructions, it came out beautifully. I got the Jude skirt in a unique print with indigo and white colours. It's absolutely luxe and looks so high quality when it's on. I love the pleats that don't miss-shape and the heritage scene print on my skirt is pretty cool. The skirt has such lovely movement when you wear it. The skirt is double lined and the fabric is thicker but not heavy, no worries about sheer fabric here. It's soft and comfortable to wear. The waistband was slightly big on my waist. The length is perfect. Love this skirt! I have one in black and enjoy how versatile the can be worn depending on the top and accessories I wear. 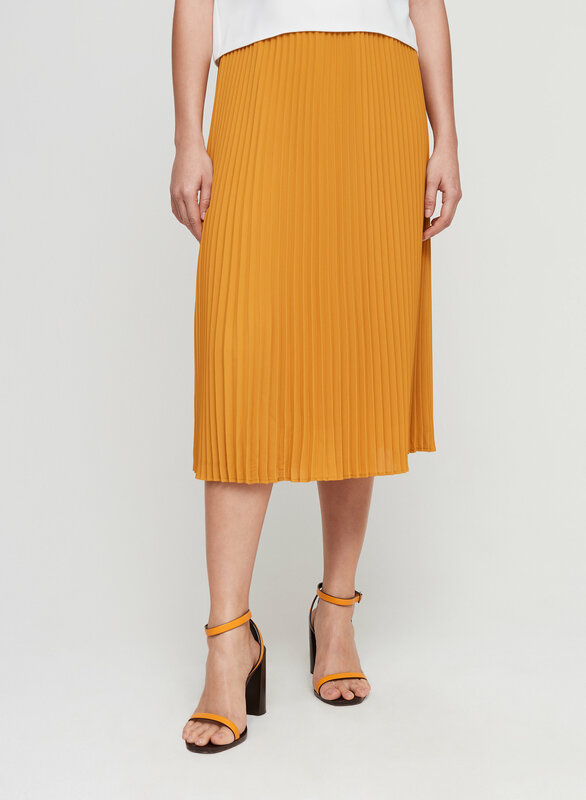 It's also a great length for shorter girls like me where it hits between my knees and ankles -- you know, that trendy midi-skirt look without it being too long. 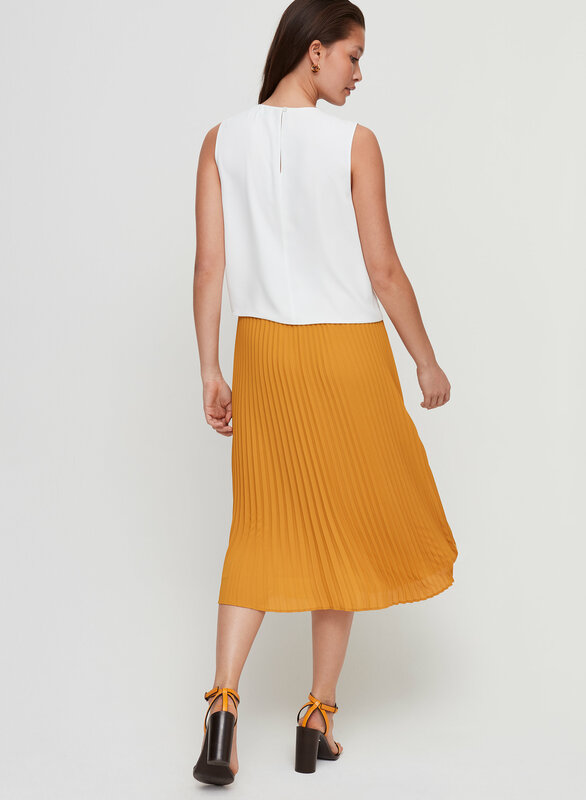 I would recommend wearing this skirt with a shorter/cropped and well-fitted blouse. I feel it makes my hips look larger than they are, but otherwise ok.